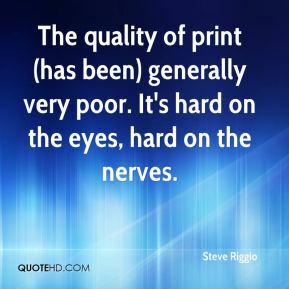 The quality of print (has been) generally very poor. It's hard on the eyes, hard on the nerves. 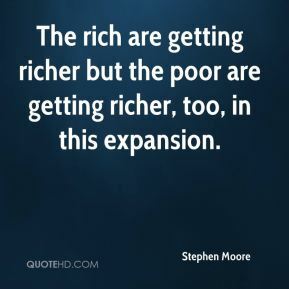 The rich are getting richer but the poor are getting richer, too, in this expansion. I don't take any particular shot at Georgia, but the poor-mouthing is getting old every year. 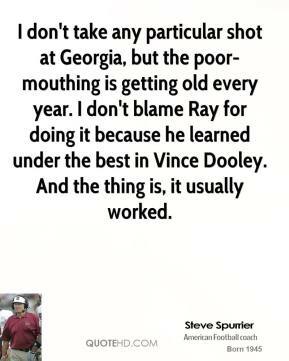 I don't blame Ray for doing it because he learned under the best in Vince Dooley. And the thing is, it usually worked. 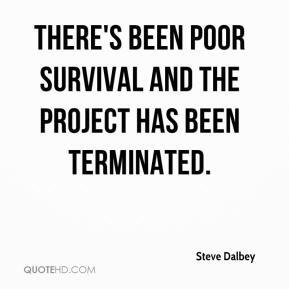 There's been poor survival and the project has been terminated. 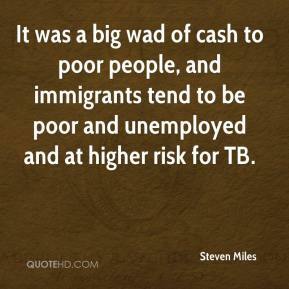 It was a big wad of cash to poor people, and immigrants tend to be poor and unemployed and at higher risk for TB. As a father, I did a poor job at dealing with my son. 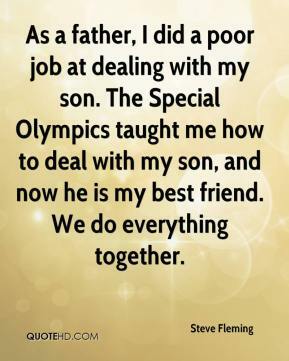 The Special Olympics taught me how to deal with my son, and now he is my best friend. We do everything together. 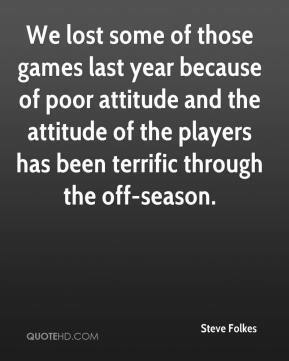 We lost some of those games last year because of poor attitude and the attitude of the players has been terrific through the off-season. It's not fun to have a poor game and lose, but getting a win when others are playing well is great for me. 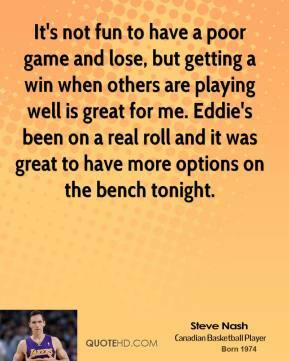 Eddie's been on a real roll and it was great to have more options on the bench tonight. 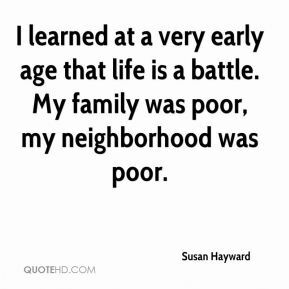 I learned at a very early age that life is a battle. My family was poor, my neighborhood was poor. 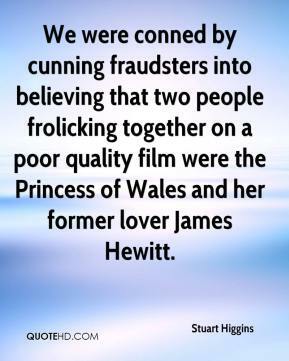 We were conned by cunning fraudsters into believing that two people frolicking together on a poor quality film were the Princess of Wales and her former lover James Hewitt. It's been less than successful, bordering on a disaster. 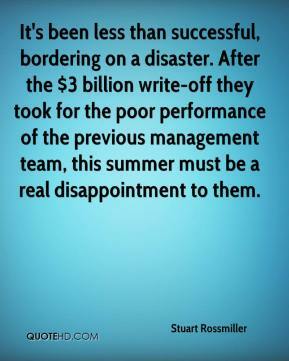 After the $3 billion write-off they took for the poor performance of the previous management team, this summer must be a real disappointment to them. 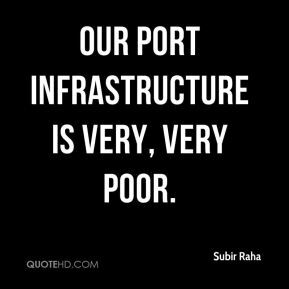 Our port infrastructure is very, very poor. 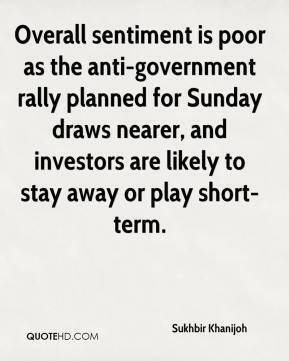 Overall sentiment is poor as the anti-government rally planned for Sunday draws nearer, and investors are likely to stay away or play short-term. 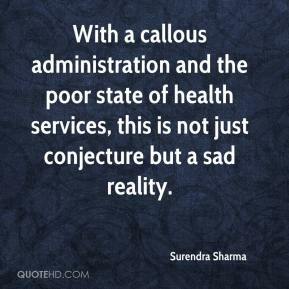 With a callous administration and the poor state of health services, this is not just conjecture but a sad reality. 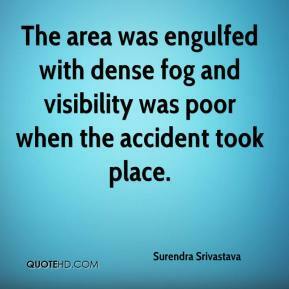 The area was engulfed with dense fog and visibility was poor when the accident took place. 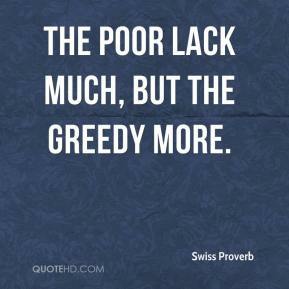 The poor lack much, but the greedy more. 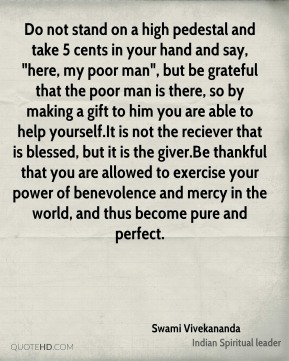 Do not stand on a high pedestal and take 5 cents in your hand and say, "here, my poor man", but be grateful that the poor man is there, so by making a gift to him you are able to help yourself.It is not the reciever that is blessed, but it is the giver.Be thankful that you are allowed to exercise your power of benevolence and mercy in the world, and thus become pure and perfect. 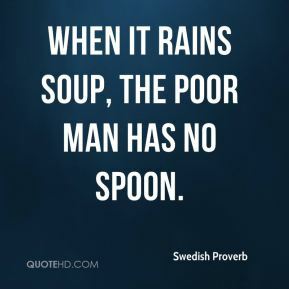 When it rains soup, the poor man has no spoon. 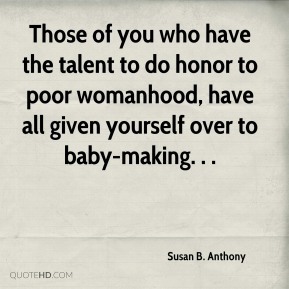 Those of you who have the talent to do honor to poor womanhood, have all given yourself over to baby-making. . . 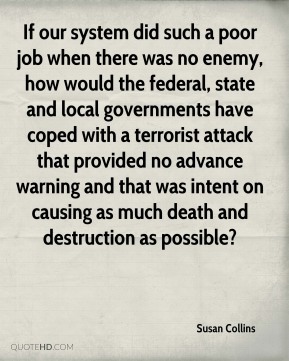 If our system did such a poor job when there was no enemy, how would the federal, state and local governments have coped with a terrorist attack that provided no advance warning and that was intent on causing as much death and destruction as possible? 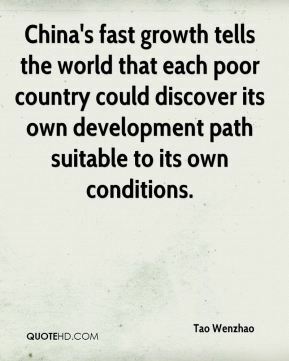 China's fast growth tells the world that each poor country could discover its own development path suitable to its own conditions. 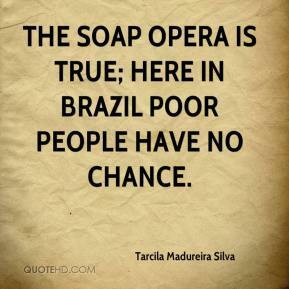 The soap opera is true; here in Brazil poor people have no chance. 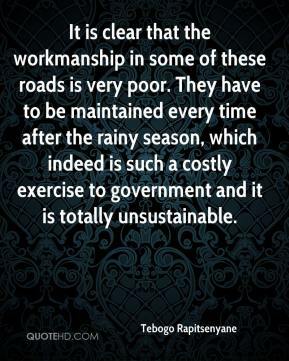 It is clear that the workmanship in some of these roads is very poor. They have to be maintained every time after the rainy season, which indeed is such a costly exercise to government and it is totally unsustainable. They're not seeing the misery in their own families every day. 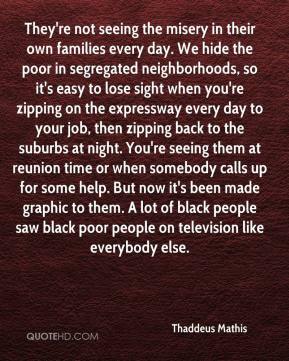 We hide the poor in segregated neighborhoods, so it's easy to lose sight when you're zipping on the expressway every day to your job, then zipping back to the suburbs at night. You're seeing them at reunion time or when somebody calls up for some help. But now it's been made graphic to them. 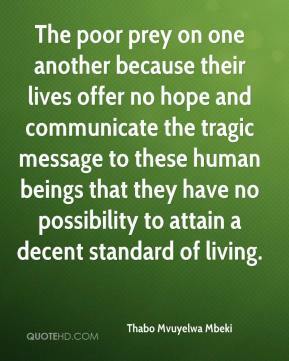 A lot of black people saw black poor people on television like everybody else.